Starlab Publishing was founded by Peter Sahlin (formerly Hitworks AB) and Anders Mören (Misty Music AB) in 2004. Starlab represents a very large range of both songwriters and producers, through them and Starlab Studios we offer first-rate, modern music productions and song supply. We work mainly with popular music for the international market, but also produce songs in other genres and for other purposes if needed. We can customize music to your preference, around what, at a given time, is modern and in demand. We can also provide you with a huge catalogue with already composed, professional music. We compose music at a high rate, and will therefore be in top of the trends, delivering the latest sounds. Besides the music industry we also make music for television, film, games and commersials. With hundreds of cuts and several number ones around the world, we continue to produce exciting music with great enthusiasm, and to spread it worldwide through our extensive international network of contacts. Peter Sahlin has amassed both extensive experience and knowledge in over 20 successful years in the music business. He has written top-selling albums with songs that have been number one on the Japanese charts. He has worked as an artist, songwriter, and producer for the record companies Epic/Sony in the US, JVC in Japan, Edel in Germany and Telegram, Warner, and MNW in Scandinavia. His songs have been played at Madison Square Garden in New York and his music also caught the attention of legends like Tony Visconti (producer of great artists such as David Bowie and Marc Bolan) and Joey Ramone (singer of the Ramones). Peter has also produced music toghether with the 90’s dance music miracle KLF in the UK, and written music for the Swedish Eurovision Song Contest as well a for films – for example, the Hollywood classic ”Hackers”, with Angelina Jolie in its cast. In the year 2000, Peter changed the path of his career and founded and ran the record company Hitworks AB. In 2004, he also went into the music publishing business, founded Starlab Publishing & Studios together with Anders Mören, which was so successful that he eventually chose to devote all his time at Starlab. Anders Mören has a long and extensive background in the music industry. 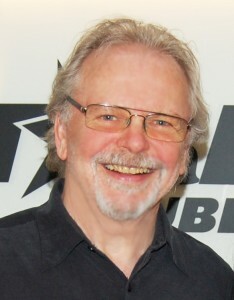 In 1973, he began to work at Stikkan Andersson’s publishing company Sweden Music AB, (Stikkan Anderson also started Polar music) where he worked with ABBA. Anders soon became Vice President but in 1987 he left his position to start his own music publishing company: Misty Music AB. Since then, Anders has built up a large and impressive song catalogue, and also sub-publishes catalogues and artists like David Guetta, Faithless, Marilyn Manson, Rush, Tom Petty, Neil Young, Santana, The Doors and George Harrison. Anders still runs Misty Music but also works with, and became a partner of, Starlab Publishing with Peter Sahlin in 2004. 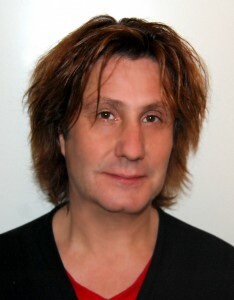 Anders has also been a board member of STIM, SMFF (“Musikförläggarna”) and Export Music Sweden. To get to our song server, you need a password from us. Once inside, you can search for songs by picking different parameters. Click here to go on. Starlab represents a large range of songwriters, producers and artists. We offer first-rate and modern music productions for the international market. Please CLICK HERE for a list of the closest songwriters and those who have had one or more songs sold around the world.